The map shows available lots (marked in red) in Food Business Park South, which is also known as the Florida Ave Industrial Park. 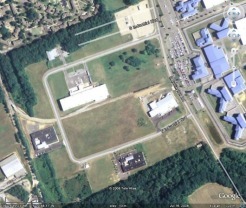 The available lots are owned by the City of Bridgeton. Below is a list of the parcels and their sizes. 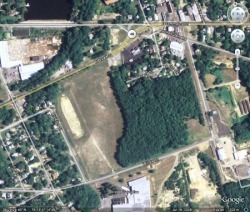 The industrial park site is part of Bridgeton's Urban Enterprise Zone and the Cumberland Empowerment Zone, and it is located on State Highway 49, South Jersey's main east-west corridor from the Delaware Memorial Bridge to the Jersey Shore. Prospective developers undertaking projects in this industrial park can benefit from short-term (5-year) tax abatements and other incentives. 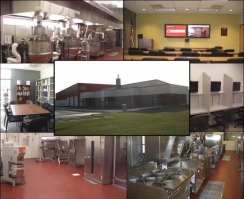 Food-related businesses have the added benefit of being next to the Rutgers Food Innovation Center where they can take advantage of state-of-the art facilities and specialized technical assistance programs.